Businesses sometimes experience occasional sales slumps. Whether it’s caused by seasonal changes or unexpected economic trends, you need to find the source of the problem in order to fix it. One reason your sales might be falling: your SEO marketing efforts are outdated. Here are some quick optimization recommendations that could put a stop to your steady drop in sales. If you’re experiencing declining sales, start out by going over your most recent sales and SEO strategies. What has worked out for you in the past and what hasn’t? What haven’t you tried yet and what is starting to show signs of becoming outdated? If you haven’t created buyer persona profiles for your best potential customers yet, or if it’s been several years since you’ve updated them, then it’s time to consider pinpointing your perfect audience. Take some time to evaluate your current marketing techniques, and determine what it is your ideal customers are looking for on the web. If the content on your website is relevant to their search, the chances of you being discovered are much more likely. This is why it’s important to be as precise as possible when researching and utilizing the right keywords for your site and your services. If you are not using effective keywords and applying them properly, it will be very difficult to drive new leads to your website. Once you have found the perfect keywords, however, you want to make sure that they are being applied effectively. Are they listed in the titles and meta descriptions? What about the page content and URL? Does it mention the keyword in the heading and body enough times, and in a natural manner? Do the images contain relevant alt tags? Search engines work on a complex system that allows them to find relevant resources based on the keywords entered for search. 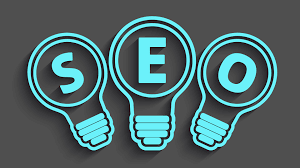 The algorithms are constantly changing, so it is absolutely critical to stay current and adhere to search engines’ guidelines if you want to get on your potential leads’ radars.